It’s the most common question we get at Zooppa HQ. We know video production takes a lot of work: scouting talent and locations, hiring crew, editing footage and more. That’s not to mention all the price of good editing rigs, software and equipment rentals. It’s only fair that you want to win something for all the effort you put in. So, how do you win? We don’t have a secret formula for securing first place in every client project. If we did, we’d have published our very own self-help book: Profit with Zooppa (corny cover photo included). While we can’t tell you specifically what every client is looking for, here are a few tips we’ve observed from videos of repeat winners. It sounds obvious, but this is one of the biggest differentiators we see for winners—the set is well-illuminated from actor, to backdrop down to the product. In film there’s a hyperfocus on cameras—2k vs. 4k, lenses, endless debates over stabilizers and rigs. But none of that matters if we can’t see your subjects! 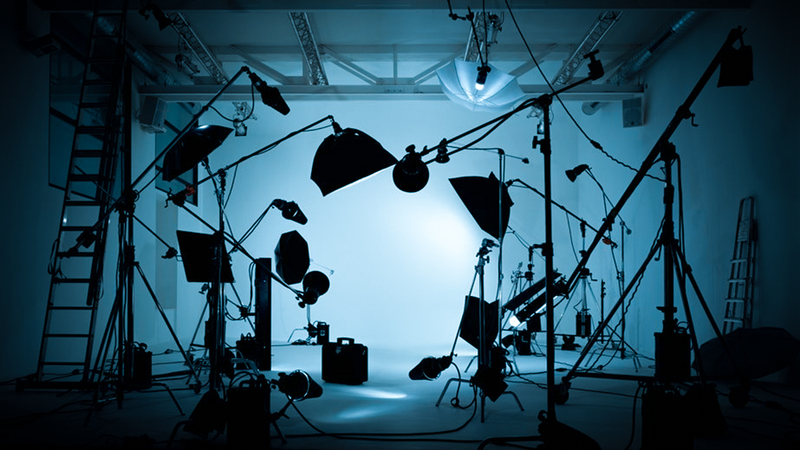 Investing in good lighting can drastically up your production value without sinking money into that shiny new camera. Z-Picks: For solid all-around lighting with quick setup and takedown, we recommend starting out simple with this Emart 600W kit from Amazon. While it’s no Arri Softbank IV Plus Kit, this simple setup gives you the basics to get started. Plus it’s customizable whenever you do decide to upgrade. Feeling crafty? Check out this DIY Kit from DSLR Film Shooter. The total build is priced around $250, and you get three adjustable LED panels. The best part? If something goes wrong on set you know exactly how to troubleshoot it! Well-framed shots can take a video from a 4 to an 8. We’re talking composition—where the product’s placed, whether the subject is front and center, if we can see your dog or dirty laundry in the background. It matters, especially when you’re completing a story or artistic-based project. All the fancy camerawork and top-tier editing in the world can’t save you from an imbalanced shot. Need a starting point for learning how to better compose your shots? First, start with storyboarding. It may only be a 60 second video, but if you’re communicating a set of ideas (especially for a client), it’ll help you keep everything organized. Z-Picks: Try out our this storyboard template. Next, check out this guide on shot composition by DSLRGuide. Need help understanding how to prep talent, set up interview videos, and get true value from your talent? Check out this course from LinkedIn’s learning service, Lynda. That’s not to say there aren’t exceptions. We’ve seen some amazing off-the-wall pieces on our Alamo, T-Mobile, and Melitta projects. But in general, we suggest sticking with a clear beginning-middle-end structure. While we’d love to watch your neon experimental art film, most clients are looking for something simpler. Z-Picks: Want to learn how to put together a killer story? Check out this tutorial from YouTuber D4Darious on Three Act Story structure. Our projects usually don’t require all the complex components he discusses, but it’s great for getting a holistic view of storytelling. Our top tip for winning projects is…research. A pretty mundane element compared to the others, but this is the thing that can win you first prize. Clients are looking for submissions that demonstrate an understanding of not only the brief but the company itself. Take a second to think about the following when you’re putting together a plan for your submission. What’s the brand’s story? What values, visuals, and demographics are important to them? Does my video align with the brief provided on the Zooppa project page? How does this product/idea fit their image? How can my submission strengthen that existing image? How can I bring them something unique that still fits within their brand? If you can master all those elements, you’re well on your way to creating an all-star submission. Don’t worry about getting everything at once—improving is a work in progress. We have several repeat clients who come to us for projects every year, so if you’re looking to improve on a previous year’s submission or test out a new approach, that’s the place to do it. Above all, keep submitting! It might take a few tries, but following the tips above will get you noticed and one step closer to awards. Want more tips? Check out our filmmaker resources section.